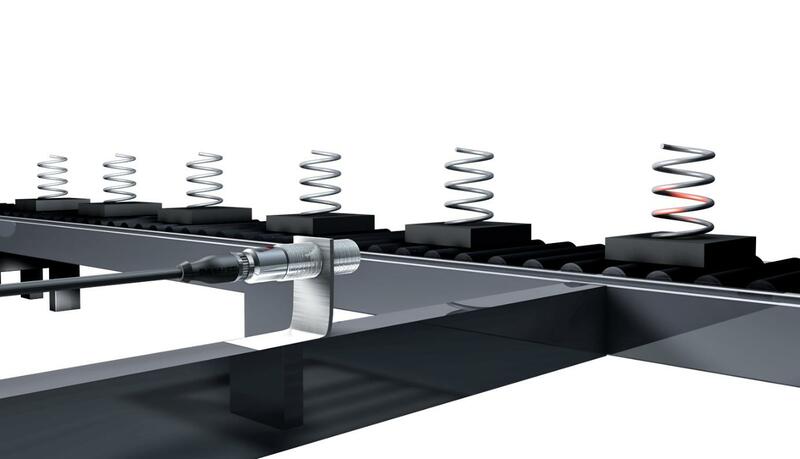 For press shops utilizing transfer rail systems, fixed sensor connections regularly cause frustration. Cables and contacts are often subject to heavy strain. Cables can wear out and break, damaged pins or mechanical collisions can cause hours of machine downtime, and the replacement of large multi-pin connectors comes at a high cost. Inductive couplers offer an ideal solution: By using these non-contact, wear-free products you can eliminate pin connections and simplify job changeovers on the press. Inductive couplers transfer signals and power contact-free over an air gap. The quick-disconnect units are easy to use and require no maintenance, enabling you to meet new demands quickly. Mechanical wear is a thing of the past. This increases system availability, reduces cycle time and enhances the flexibility of workflow processes. Typically, two pin-based connectors connect the transfer rail to the transfer system on the press. The connections are on both the feed and exit sides of the rail to the control. If there is any misalignment of the connections, damage regularly occurs. 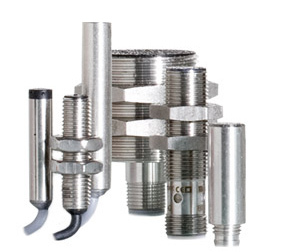 By replacing the connectors with pin-free inductive couplers, the connections are simplified and repair work is minimized. Additionally you don’t have open pins exposed to the environment (dust, water, oil) that can also cause nuisances in the connection process. To connect the transfer rail on each gripper, normally a pin-based connector is used. 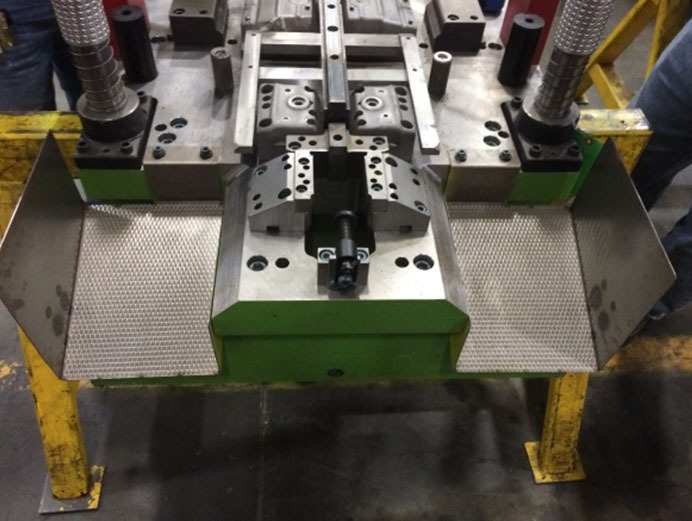 As the grippers are changed on each tooling change, the connectors become worn and damaged with regularity. By replacing the pin connector with non-contact inductive couplers, the two sensor signals are maintained but the maintenance of these connections is reduced dramatically. An additional “in-zone signal” verifies that the gripper is installed and connected. This provides assurance during operation. Inductive coupling with IO-Link technology adds more benefits besides replacing the pin coupling. It allows users to transfer up to 32 bytes of data in addition to power for actuation or sensors. 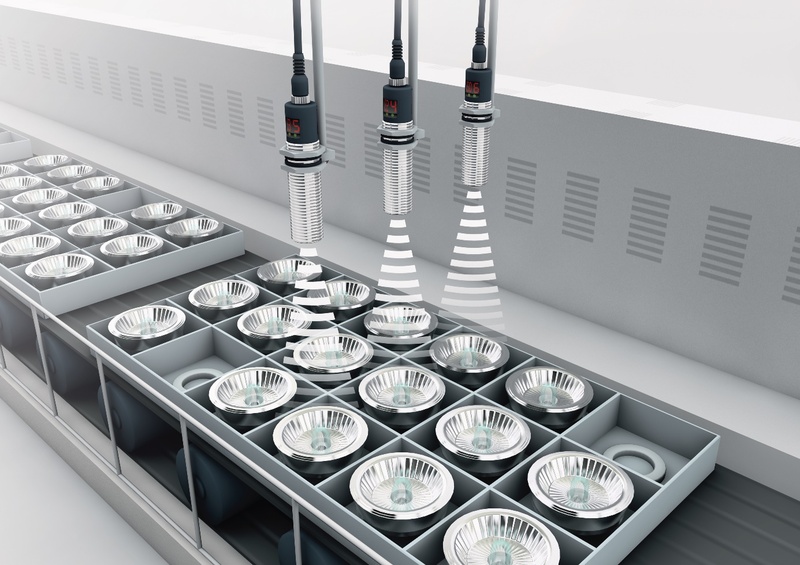 If you connect IO-Link enabled I/O hubs or valve connectors to the remote side, you can also store identification data on the IO-Link hub or valve. When the connection is established, the controller can request the identification data from the tool to ensure that the system is utilizing the correct tool for the upcoming process. With pin based coupling you needed up to 4-5 seconds to first engage the tool and to mate the two ends of the pin couplers and then request the identification. With inductive couplers, the base only needs to be brought closer to the remote so that you quickly couple and identify the tool before engaging the tool — this takes less than a second. Additionally the base and remote do not need to be well aligned to couple. Misalignment up to 15-20 degrees of angular offset or 2-4 mm of axial offset still provides functionality. To decide the right coupler for your next application visit www.balluff.com. Where Did You Find That Sensor? I recently visited a customer that has a large amount of assembly lines where they have several machine builders manufacturing assembly process lines to their specification. This assembly plant has three different business units and unfortunately, they do not communicate very well with each other. Digging deeper into their error proofing solutions, we found an enormous amount of sensors and cables that could perform the same function, however they mandated different part numbers. This situation was making it very difficult for maintenance employees and machine operators to select the best sensor for the application at hand due to redundancy with their sensor inventory. 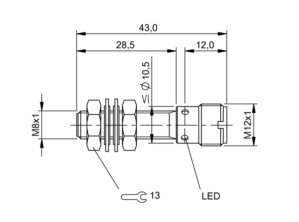 The customer had four different types of M08 Inductive Proximity sensors that all had the same operating specifications with different mechanical specifications. For example, one sensor had a 2mm shorter housing than one of the others in inventory. These 2mm would hardly have an effect when installed into an application 99% of the time. The customer also had other business units using NPN output polarity VS PNP polarity making it even more difficult to select the correct sensor and in some situations adding even more downtime when the employee tried to replace an NPN sensor where a PNP offering was needed. As we all know, the NPN sensor looks identical to the PNP offering just by looking at it. One would have to really understand the part number breakdown when selecting the sensor, and when a machine is down this sometimes can be overlooked. This is why it is so important to standardize on sensor selection when possible. This will result in more organized inventory by reducing part numbers, reducing efforts from purchasing and more importantly offering less confusion for the maintenance personel that keep production running. Below are five examples of M08 Inductive sensors that all have the same operating specifications. You will notice the difference in housing lengths and connection types. You can see that there can be some confusion when selecting the best one for a broad range of application areas. For example, the housing lengths are just a few millimeters different. 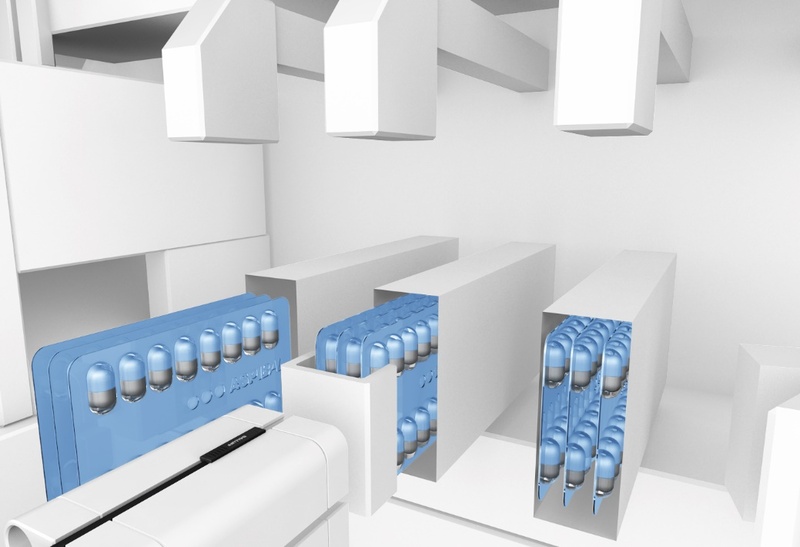 You can clearly see that one or two of these offerings could be installed into 99% of the application areas where M08 sensors are needed for machine or part position or simply error proofing a process. Every time I enter tier 1 and tier 2 suppliers, there seems to be a common theme of extreme sensor and cable abuse. 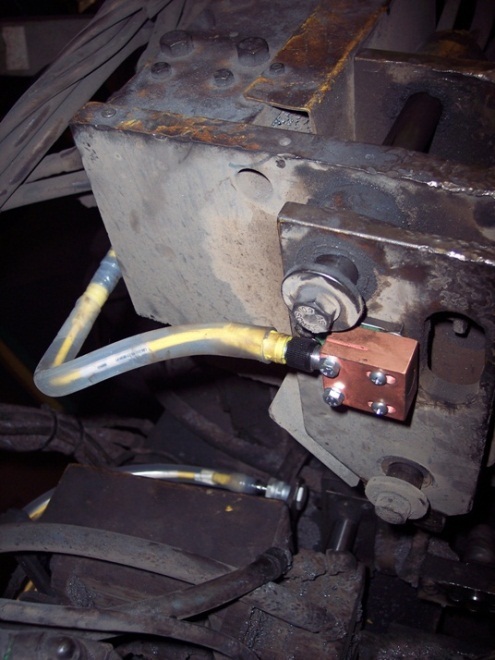 It is not uncommon to see a box or bin of damaged sensors along with connection cables that have extreme burn-through due to extreme heat usually generated by weld spatter. This abuse is going to happen and is unavoidable in most cases. The only option to combat these hostile environments is to select the correct components, such as bunker blocks, protective mounts, and high temperature cable materials that can withstand hot welding applications. Example of bad bunkering. Sensor face not protected. Plastic brackets and standard cables used. In many cases I have seen standard sensors and cables installed in a weld cell with essentially zero protection of the sensor. This results in a very non-productive application that simply cannot meet production demands due to excessive downtime. At the root of this downtime you will typically find sensor and cable failure. These problems can only go on for so long before a culture change must happen throughout a manufacturing or production plant as there is too much overtime resulting in added cost and less efficiency. I call this the “pay me now or pay me later” analogy. If these simple steps are followed, uptime and efficiency will result in increased productivity with immediate improvements and positive results. For information on welding improvements visit our website at www.balluff.us. 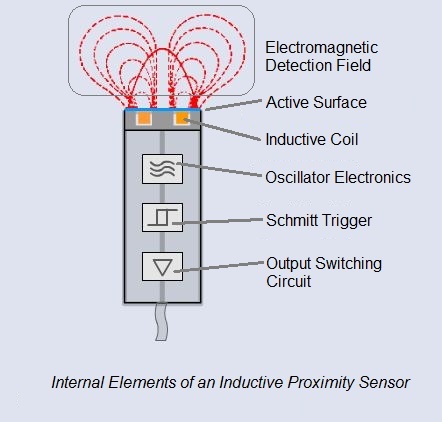 Diagram showing the relationship between the various operating distances of an inductive proximity sensor. 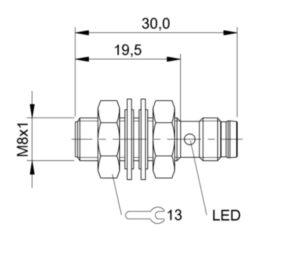 When looking at a data sheet for an inductive proximity sensor, there are usually several different specifications listed with regard to the switching distance (or operating distance). Which of these various specifications really matter to someone trying to use a prox sensor in a real-world application? 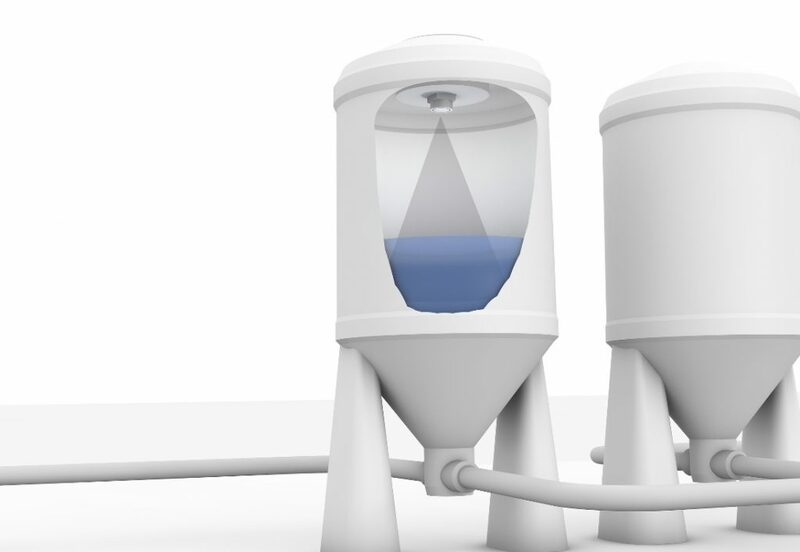 How can a specifier or user decide which sensor is going to work best in their situation? This standard is IEC 60947-5-2 Low voltage switchgear and controlgear – Part 5-2: Control circuit devices and switching elements – Proximity switches. In the diagram shown here, the letter “s” refers to a given sensor specimen’s actual switching distance when tested. It is defined as the distance (between the standard target and the sensing face of the proximity switch) at which a signal change is generated. For a normally open sensor, the target approaches the sensor axially, that is, the sensor approaches the active surface from the front (not the side). There are several subscripts used to describe different aspects of a sensor’s switching behavior. … is the nominal switching distance of the sensor. It is simply used as a standard reference value. 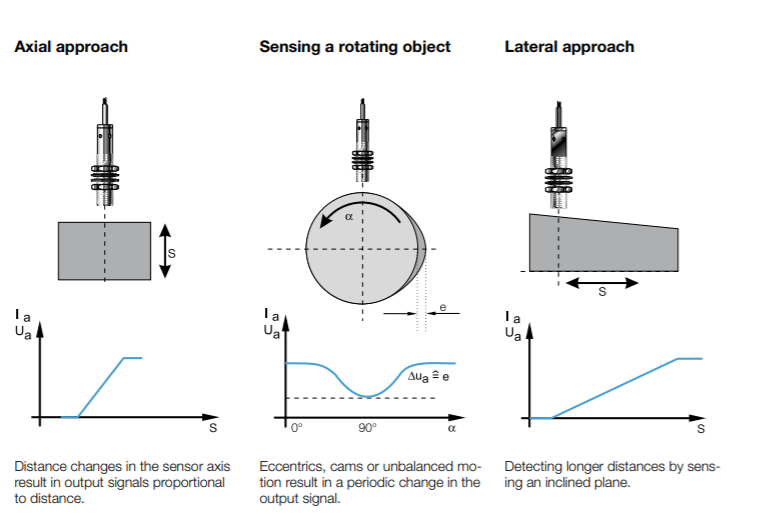 The rated operating distance is the best figure to use when comparing different sensor models to get an idea of their essential sensing distance capabilities. …is the range of actual switching distances that any given proximity sensor will fall into when measured under specified conditions of mounting, temperature, and supply voltage. For well-designed and manufactured sensors, the sensor will be triggered between 90% and 110% of the rated operating distance. For example, various samples of a proximity sensor model with a rated operating distance (sn) of 8mm may deliver switch-on points anywhere between 7.2mm and 8.8mm. …takes into account the effects of the sensor’s full ambient temperature range (low to high) and variation of the supply voltage from 85% to 110% of the nominal voltage rating. The IEC standard requires the usable operating distance (su) to be between 90% and 110% of the effective operating distance (sr). 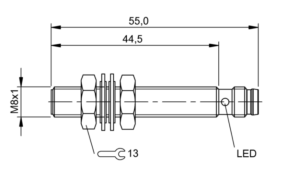 For our example of a sensor with a rated operating distance (sn) of 8mm, the usable operating distance would fall between 6.5mm and 8.8mm. Pop quiz: why is the max of usable operating distance not 9.7mm (sr of 8.8mm * 110%)? Answer: the usable operating distance can always be less than but can never be greater than the maximum effective operating distance. This is the distance of the target to the sensor where the sensor can be guaranteed to have turned on. 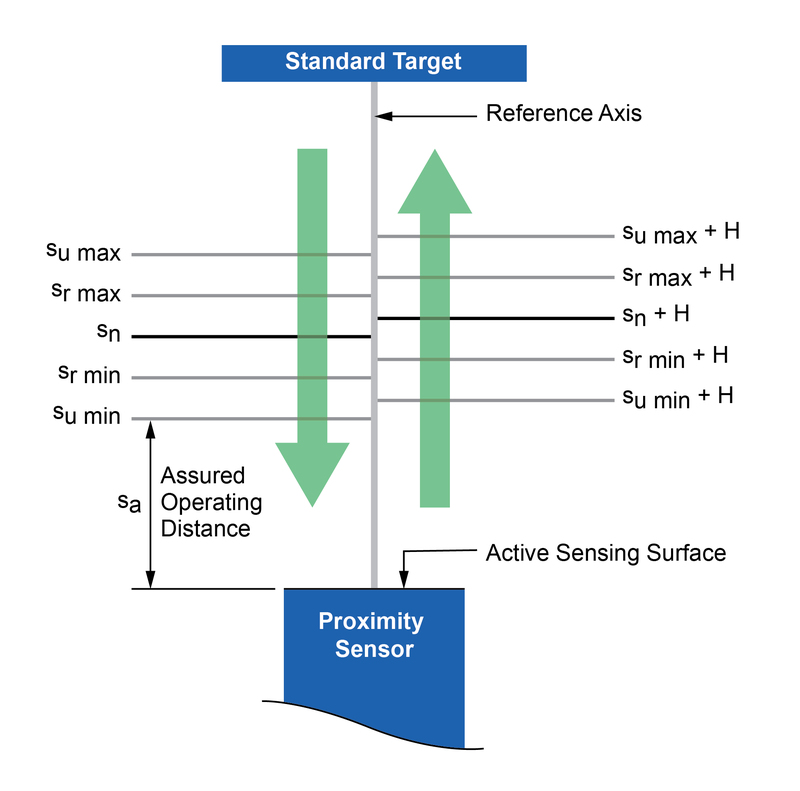 If a target approaches within the assured operating distance, you can be confident that the sensor will detect it. It is 90% of sr which is in turn 90% of sn, which is in effect 81% of sn. 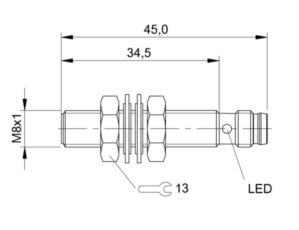 Going back to our example of a sensor with a rated operating distance (sn) of 8mm, sa would be 81% * 8mm = 6.5mm. So in essence, sa = su(min). Now when the target recedes, at what distance will the sensor switch off? All good-quality sensors have a built-in property called hysteresis, which means that the sensor will turn off when the target is further away from the sensor than the point where it turns on. This is necessary to prevent chattering and instability when the target approaches the sensor. We want the sensor to turn on and stay on, even if the target might be vibrating as it crosses the threshold of detection. 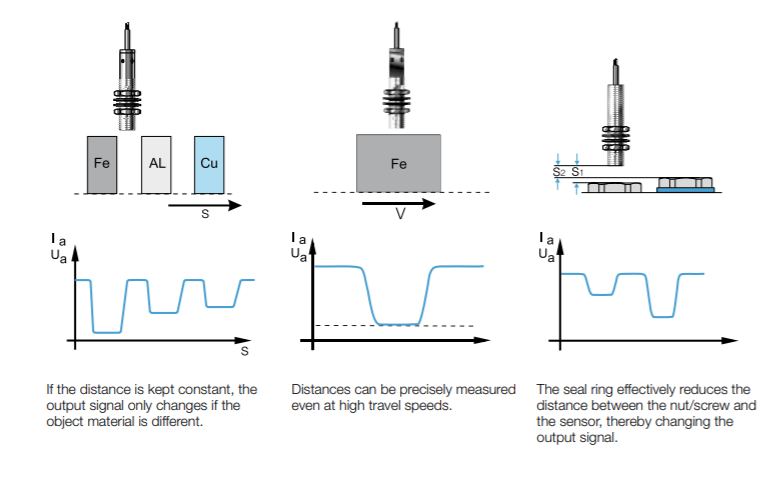 For most sensors, it is defined as ≤ 20% of the effective operating distance sr. The differential travel is added to the value of sr to define the switch-off point. In practice, for any group of sensors, the minimum value of H would be zero and the maximum value would be sr(max) + 20% of sr(max). 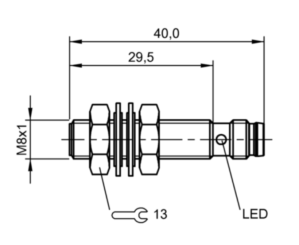 For our example of a sensor with a rated operating distance (sn) of 8mm, 7.2mm ≤ sr ≤ 8.8mm. So, the range of switch-off points would be 7.2mm ≤ sr+H ≤ 10.6mm. It might sound like a large range, but for any given sensor specimen the switch-off point is never greater than 20% of that particular sensor’s switch-on point. The good news is that you don’t have to conduct sensor tests yourself or go through all of these calculations manually to determine a sensor’s performance envelope. The sensor manufacturer provides all of these useful figures pre-calculated for you in the sensor data sheet. Learn more about the basics of the most popular automation sensor here. 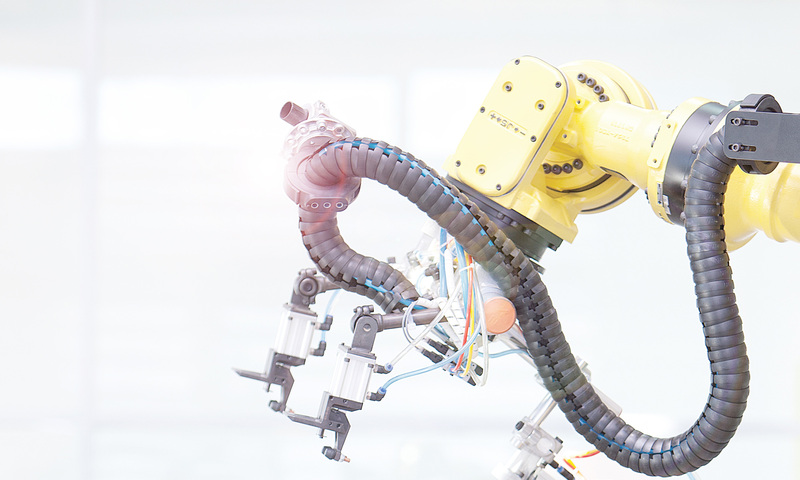 Applications where sensor contact is unavoidable are some of the most challenging to solve. 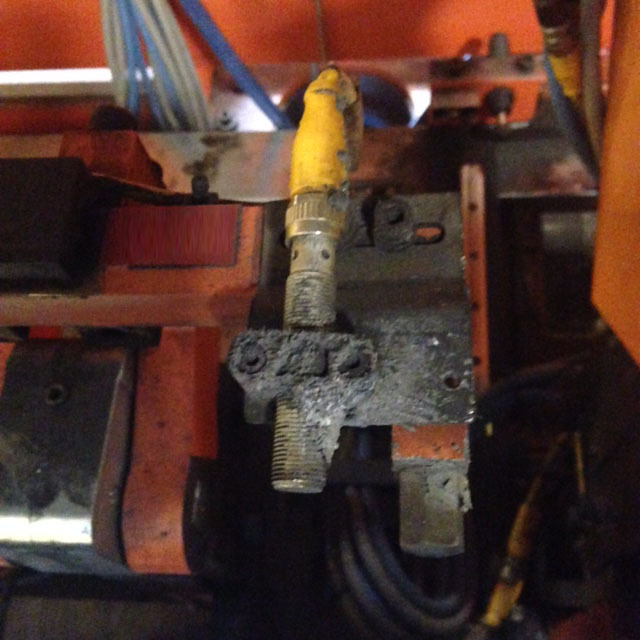 Metal forming processes involving over travel can also damage or even destroy a sensor causing failure and expensive unplanned downtime. 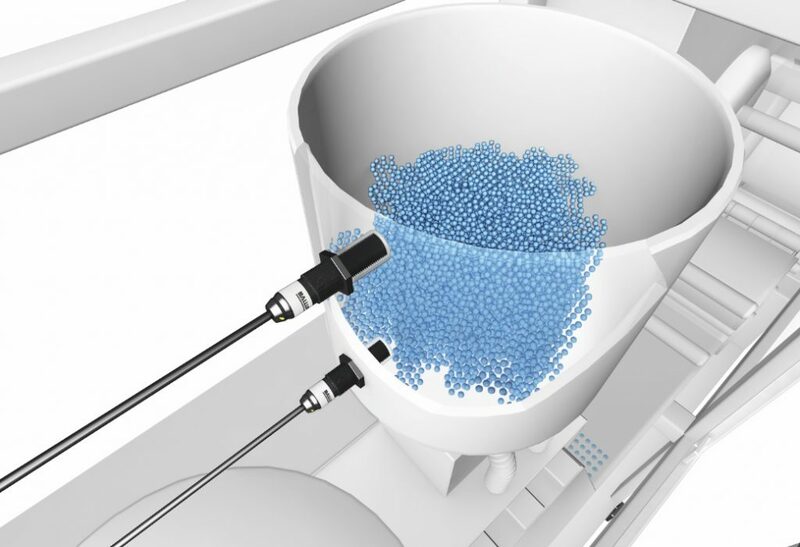 Manufacturers often try to remedy this with in-house manufactured spring loaded out-feed mechanisms but those are expensive to make by experienced tool and die personnel who have more important things to do . Over the years, I’ve seen this as a pervasive problem in the stamping industry. 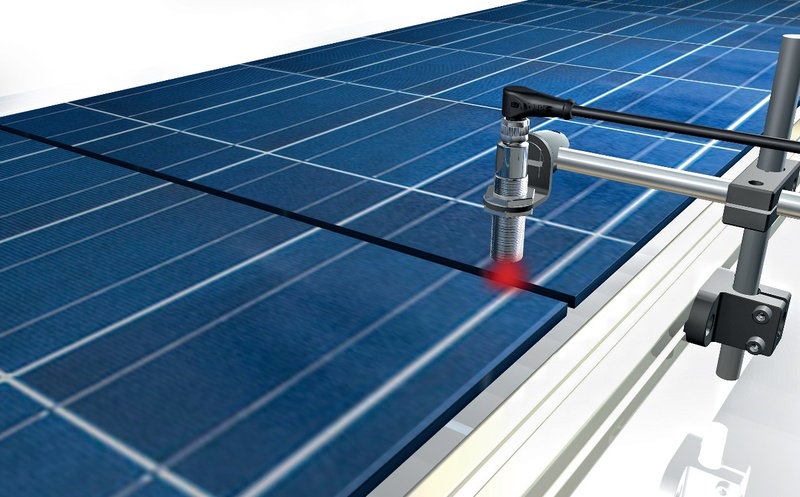 Many of these issues can be solved with the use of a simple yet effective sensor actuator system known as a plunger probe. The flexible trigger/actuation point is fully adjustable to meet sensitive or less sensitive activation points, not possible with “fixed” systems with substantial “over travel” built into the design. It is fully self-contained (minimizing any risk of sensor damage and resulting unplanned machine down time). The device can be disassembled and rapidly cleaned, reassembled, and placed back in service in the event that die lube or other industrial fluids enter the M18 body that can potentially congeal during shut down periods. You can also learn more in our one page product update flyer.